What We Do: Video and Photos of some of the Disasters we've met. An insurance policy is a binding contract that forces your carrier to pay for all covered damages occurring from a covered peril. How do I know if all of my covered property damage was paid? 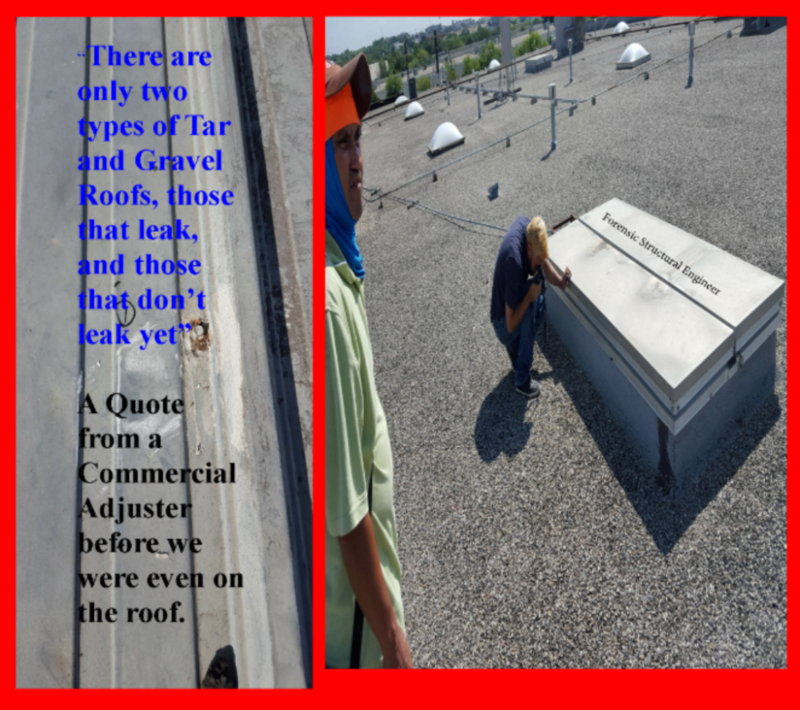 The Insurance Company Adjusters' job is to do a thorough inspection. I'm not sure that a complete, accurate and thorough inspection was done on my damaged property. Can I get another damage inspection? You probably didn't "Win" your property in Las Vegas so why would you gamble with the outcome of your property claim? My insurance company adjuster just left me with a check and told me now to go and get three bids from roofers. Now what? My neighbors property damage is identical to mine, but his insurer paid him twice as much as mine paid me. Why is that? I don't remember a hailstorm on my street, but I did notice a few new roofs were installed recently. How can I find out if and when a severe storm occured at my address? I've had contractors knocking on my door and attorney ad on my television that both claim they can help me with my property claim why not use them to negotiate my claim? 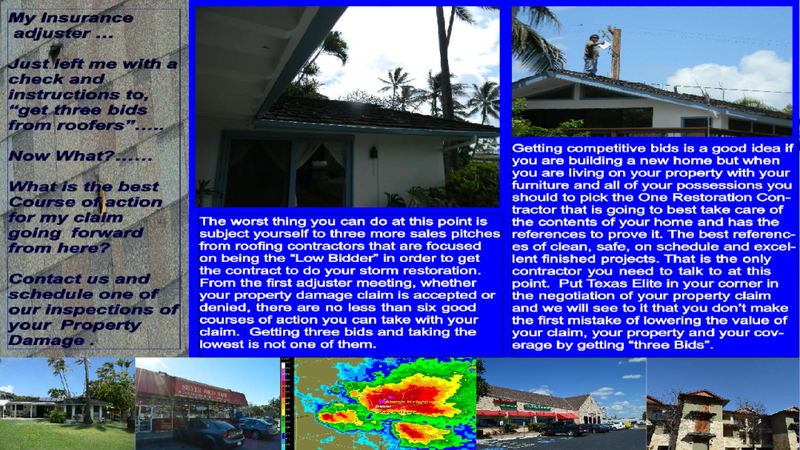 My commercial building storm claim was turned down by my insurance adjuster the roof has tar and gravel on it and I believe it was damaged at this point what can be done about it? I think a storm happened at my address last spring, I did not file a storm claim on my property at that time. Is there anything I can do about that now? Need the assistance of a Public Adjuster? 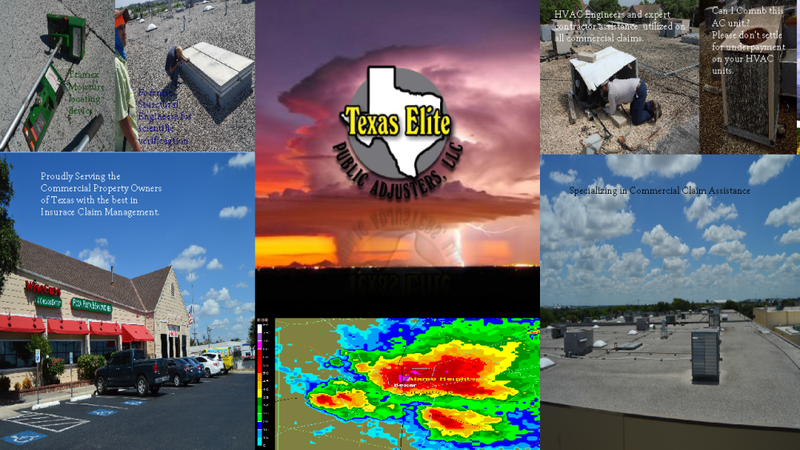 We are here to assist our hometown San Antonio, Texas with a guided tour through the property damage claim process. 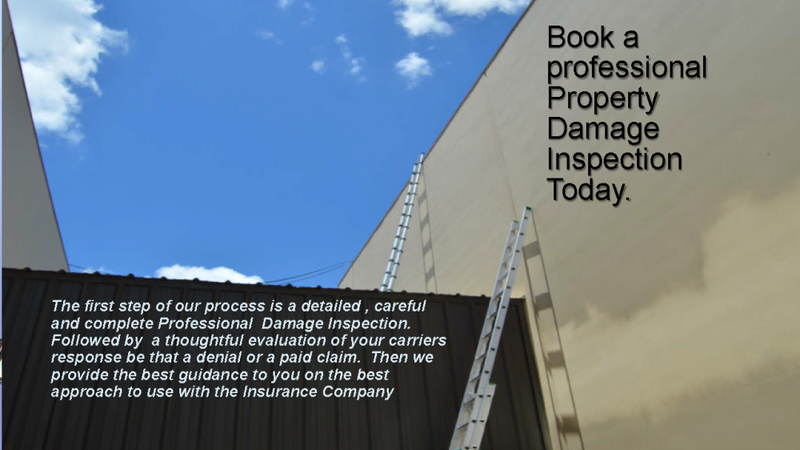 We are here to inspect your property storm damage and review your property damage claim to insure that you have recieved a fair and justified settlement that allows for complete repair of all of the damage your home or business suffered in the Spring 2016 hail storm outbreak.